5G could change the way we use technology and potentially reduce the digital divide in communities of color. Today, the Federal Communications Commission will consider a proposal that could potentially impact the future of 5G deployment. Wireless providers are now in the process of deploying this advanced wireless Internet service called 5G that will revolutionize our mobile online experience, and that’s what makes FCC Commissioner Brandon Carr’s March 1 proposal worth noting. But first, some background: 5G is the latest innovation in the ongoing transformation of our broadband economy. Thanks to the investment by both wireless and fixed broadband providers, America has been a leader in broadband availability and speed. This leadership has not only birthed global technology companies, but also empowered ordinary Americans and small businesses by connecting them to a global marketplace. The economic stakes of maintaining America’s leadership in broadband are huge. 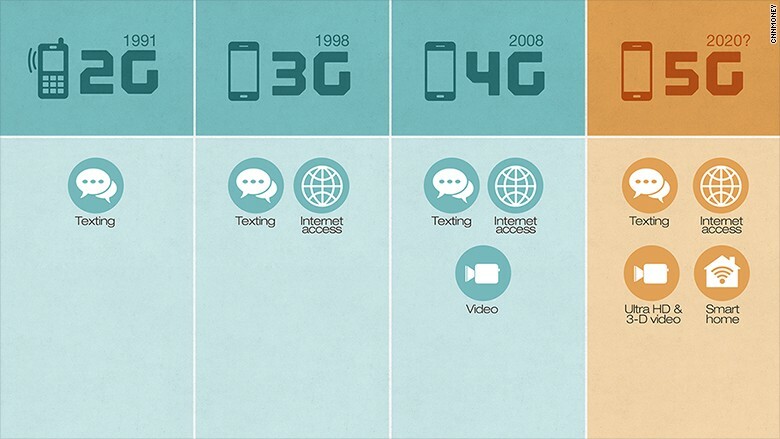 In addition, 5G is more than just fast. The technology that powers 5G is smaller and relies on wireless facilities with tiny antennae that can be attached to existing structures like shops and electric light-poles called “small cells.” Unlike their “macro cell” big siblings, these little powerhouses sit relatively close to the ground and can range in size from a laptop to a small refrigerator. However, just like their larger counterparts, small cells are subject to often-long and always-expensive reviews required by the 1970 National Environmental Protection Act, the 1966 National Historical Preservation Act, and some Tribal processes. To be sure, these reviews are important for protecting our planet and our shared and diverse cultures. When there is significant construction of a massive 300-foot cell tower, reviewing the impact of the structure makes sense. But when the device in question “would fit inside the space of a pizza box” — to quote the proposal — and is being attached to an already-constructed building, for instance, these kinds of reviews should be analyzed to find the balance between preserving their original protective intent and allowing for efficient deployment. Importantly, stakeholders representing the various interests in such reviews must be part of the conversation on any reforms. 5G technology can also increase capacity to a network with additional small cells installed in urban centers and metropolitan areas where a high concentration of mobile users exists. These locations often need network densification to increase the amount of capacity per square meter. Given how large clusters of Asian American populations reside and work in these areas, the positive impact 5G technology will have on our community is why Advancing Justice | AAJC is paying close attention to this issue. 5G is already being deployed around the world given how it can significantly reduce mobile network delays, accelerate connections, and support hot spots at venues and in machine-to-machine networks, and provide other innovative offerings in addition to traditional carrier services. During the Winter Olympics, South Korea used a 5G prototype to operate a shuttle bus fleet without human drivers. The passengers on those buses enjoyed 360-degree images of athletes beamed into the bus in real time, an impossible feat without next-generation wireless networks. There are also larger macroeconomic implications of this issue, the ramifications of which could be huge. Morgan Stanley predicts that China, Japan, and South Korea will be world leaders in 5G deployment. The effects of being the first to deploy 5G will be significant for many seemingly intractable national problems, and economic benefits will be as high as $2 trillion over 20 years. My organization, Asian Americans Advancing Justice | AAJC, has had honest policy differences with this FCC in our digital access advocacy for the Asian American community, but we agree strongly about the importance of promoting faster and more accessible broadband. In Commissioner Carr’s proposal this month, he documents the regulatory hurdles that have slowed U.S. small cell deployment and unveils a new and streamlined Federal approval system to accelerate 5G access. This new process considers the importance of broadband deployment to the economy, and recognizes the need for regulations keep pace with changing technology. Advancing Justice | AAJC sees closing the digital divide as one of the most important civil rights issues on which we engage, and we are deeply committed to promoting universal access and support. To be clear, all efforts to close this divide in a 5G future will also require a substantive investment in broadband to reach all communities. As such, we support any efforts that result in increased support for broadband whether that is 5G or the fixed fiber networks that power them and connect our homes and businesses. Commissioner Carr’s announcement is a small step in bringing the economic and social benefits of 5G to the United States, yet there are many important stakeholders in this long-term process that have not yet had a chance to respond. As such, Advancing Justice | AAJC withholds final judgment on this proposal and looks forward to the Commission’s discussion today. Given the stakes of this issue, we certainly acknowledge and respect Commissioner Carr’s efforts to promote the shared goal of improving broadband access, and we recognize the public support the Commissioner has received for the proposal and its announcement. We thank the FCC for their efforts and Commissioner Carr specifically for taking the lead and highlighting a key issue with broadband deployment by addressing how the Federal government can encourage more support for the rapid adoption of new technology. The success of these technologies in reducing the digital divide among the Asian American community and other communities of color depends on the choices leaders in government and industry make. In the coming months, we will continue to ensure that our community’s best interest is represented in these conversations. Koustubh “K.J.” Bagchi is Senior Staff Attorney for Telecommunications, Technology, and Media at Advancing Justice | AAJC. Senior Staff Attorney | Telecommunications, Technology, and Media @AAAJ_AAJC.